Learn the ins and outs of managing federal funds for compliance and to promote excellence in your school district for all students. Registration for the 2019 Wisconsin Federal Funding Conference, Feb. 25-26, is SOLD OUT. If you are interested in registering should space become available, please fill out this form. Please know that when WASBO contacts you, we will need an answer immediatebly as to whether or not you are registering so that conference materials can be finalized. If you have questions, contact the WASBO office at 608.249.8588. 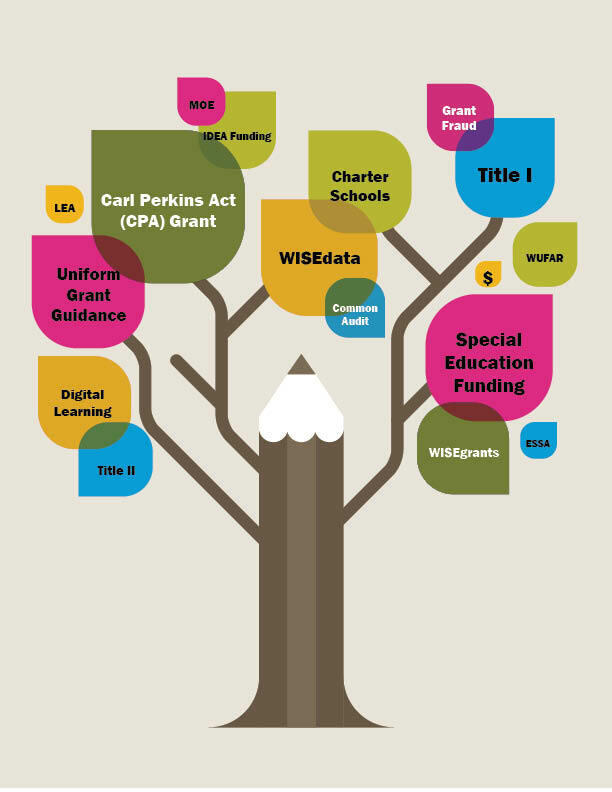 The Federal Funding Conference is a collaboration between DPI, the WI Association of School Business Officials (WASBO) and the WI Council of Administrators of Special Services (WCASS). The conference is held annually at the Kalahari Conference Center in Wisconsin Dells. In addition to providing introductory sessions on Federal Funding for staff new to federal grants management, this year’s conference focuses on the importance of the local education agency’s compliance with the Federal Uniform Grant Guidance, how student level data impacts Federal funding, and the implementation of ESSA along with the school level expenditure reporting requirements under ESSA. Over 25 concurrent sessions will handle the nuts and bolts of compliance, monitoring and management of your federal funds. Please note, this year's conference is structured with introductory sessions on day 1, and more advanced sessions on day 2. Register early as conference space is limited and all prior conferences have sold out quickly. Due to the high level of demand for this conference, cancellations received after February 11 will be responsible for the full amount of their conference registration. To register please sign in or click the create a new account link in the area to the right. If you have previously attended a Federal Funding or other WASBO conference, your User Name is your email address. If you don't recall your password, click the Forgot My Password link to the right to reset it. If the multi-attendee pricing option is selected erroneously (i.e. you are the only registrant from your organization), you agree to be billed for the difference in registration fees. Each individual will need to register separately. All rates are per person.